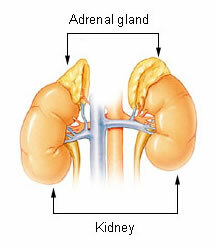 The adrenals are charged with providing the oomph needed to get us from A to Z. It is these little Brazil nut size glands that must pull us out of near miss accidents with palpitating heart, help us to adjust to chilling winds when leaving the warmth of our homes, and provide us the endurance to survive the stress of existence on this enchanting but exploited Planet. The sense of smell is the most fundamental of the five physical senses. Not only does it work in harmony with the survival instinct, but it "informs" us of much more, consciously and unconsciously. We must breathe, and this is so automatic for most of us that we do not even think about the process of inhalation and exhalation, the exchange of vital prana for depleted air, the gift of inspiration and life. Some tonics are called "vitalizers" or "energizers" or "stimulants" or "stress reducers" but they all work more or less on the principle of nourishing the nervous system so that there is more elasticity in the response to stress and deeper relaxation between exertions of energy. The idea of a mid-life tune up program was conceived in the 1980s when talking to an herbalist about using herbs for routine maintenance. Many of us devote more time and energy to maintenance of our homes and cars than we offer to our bodies. However, bodies also suffer from wear and tear as well as unwelcome toxins. This program is intended to span roughly two years, but the first part deals with all aspects of the kidney-adrenal system. Depending on the starting point, satisfactory results may be achieved in two months, but those with multiple chemical sensitivities and allergies, histories of physical and emotional abuse, or long exposure to toxicity or illness may spend much longer on the first stage of regeneration and then find that less time is required for the successive stages.